Go to My Computer and right click on the drive you want to share. Here I have chosen G/: Drive. Select Properties and go to the Sharing Tab. Now, you’ll notice that Network folder and file sharing for G/: has been disabled. To enable it click on Advance sharing and tick the option “share this folder”. This will show the drive on other computers in the network. But, you won’t be able to edit or add files to it. To do so you need to give full permissions. 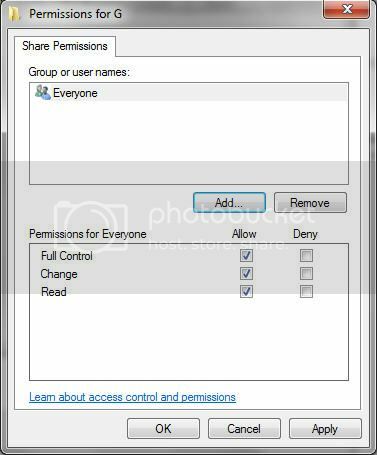 Click on Permissions and tick the option “Allow full control”. Click on Apply on all the three windows and close them. After you close go to My Computer, you’ll notice a small icon on the bottom left corner of the drive. This shows that the drive is being shared. Now, the drive will not only be visible for viewing but you can also add and edit files. 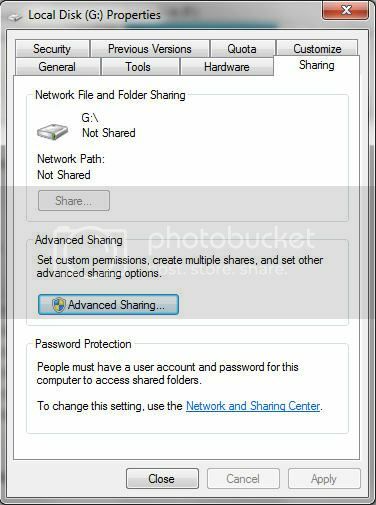 To access the shared drive on other computer click on Network on the left hand side panel and choose the computer. You should see the shared drive here.